So gradually the author is offering respect, sri-krsna-caitanya prabhu-nityananda sri-advaita. He has already offered respect to Lord Caitanya and Lord Nityananda. Now it is the turn for Sri Advaitacarya. So advaitam, nondifferent, expansion of Mahavisnu. Therefore He is Visnu-tattva. He is not jiva-tattva. Therefore, he is Advaita. Advaita acyuta anadi ananta-rupam. Krsna has got unlimited number of expansions, expansion, expansion of the expansion, then expansion of the expansion, in this way. So Advaitacarya is expansion of Krsna, it is already explained. Therefore He is called advaitam, and acaryam bhakti-samsanat. This is the business of acarya, to spread bhakti cult. Acaryam mam vijaniyat navamanyeta karhicit. 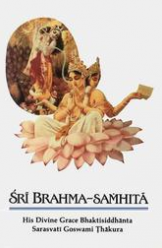 It is said by the Lord that “You should accept the acarya…” Acarya means one who transmits bhakti cult. Bhakti-samsanat, spreading, gosthy-anandi. One who is not spreading he is cultivating Krsna consciousness for his personal benefit in a secluded place, sitting and chanting that is also nice, but he’s not acarya. Acarya means he must spread, Gosthy-anandi. Bhajananandi, gosthy-anandi. So generally, gosthy-anandi means one who wants to increase the number of devotees. He’s called gosthy-anandi. And one who is self-satisfied, that “Let me do my own duty”, he is called bhajananandi. So my Guru Maharaja, Bhaktisiddhanta Sarasvati Thakura, he was gosthy-anandi; he wanted to increase the number of devotees. And the more you increase the number of devotees, the more you become very much recognized by Krsna. It is Krsna’s business. Krsna personally comes as He is, Krsna, to spread this bhakti cult. Man-mana bhava mad-bhakto mad-yaji mam namaskuru. Sarva-dharman parityajya mam ekam saranam vraja. He’s canvassing personally. Paritranaya sadhunam vinasaya ca duskrtam, dharmasamstha-panarthaya sambhavami yuge yuge. So same thing entrusted to another devotee, and who spreads, he’s acarya. So Krsna says, the acarya. Here it is said, that advaita harina advaitad. So, of course Advaita Acarya is expansion of Visnu-tattva, but any acarya, he is to be considered identical with the Lord. The Lord says that, that acaryam mam vijaniyat. “One should understand the acarya.” Acarya bhakti-samsanat. Acarya means who is spreading pure bhakti cult. “That acarya”, Krsna says, “you should consider such acarya as Myself”. Acaryam mam vijaniyat navamanyeta karhicit, that… You cannot consider, “Yes, he’s acarya, but not as good as Krsna”. No. Na avamanyeta. Don’t deride in that way. Then there will be falldown. Acaryam mam vijaniyat navamanyeta karhicit. And in the Vedas also it is said, yasya deve para bhaktir yatha deve tatha gurau: “Anyone who has got unflinching faith in the Supreme Personality and the similar faith in guru.” Yasya deve para bhaktir yatha deve tatha gurau, tasyaite kathita hy arthah: “All the Vedic literature”, prakasante, “becomes revealed simply by these two principle”. Guru krsna krpapaya bhakti lata bija. We should not jump over Krsna without the help of guru. That is not possible. You must go through. Because Krsna says, acaryam mam vijani. Tasmad gurum prapadyeta jijnasuh sreya uttamam: “Actually one who is serious to understand higher transcendental subject matter, he must approach guru.” Tasmad gurum, prapadyeta. These are Vedic injunctions. Caksudana dilo yei, janme janme pita sei. So anyone who opens… Guru means who opens the eyes of the ignorant person. Ajnana-timirandhasya jnananjana-salakaya. Opening the eyes by giving real knowledge.Guru krsna krpapaya bhakti lata bija. So bhakti-lata, the devotional service, the seed of devotional service, can be received by the parampara system through bona fide spiritual master. And if we abide by the orders of spiritual master faithfully, then Krsna becomes pleased. That is stated by Visvanatha Cakravarti Thakura, yasya prasadad bhagavat-prasadah. Ara na koriya mane asa. Narottama dasa. All the acaryas they say like that. Acaryam mam vijaniyat. Acaryavan puruso veda: “One who has accepted acarya, he knows things are they are.” Others, they do not know. It is not possible. So Advaita Acarya is the typical example, how to become acarya. All are our acaryas, sri-krsna-caitanya prabhu nityananda, sri-advaita gadadhara srivasadi-gaura-bhakta-vrnda. All of them are acaryas because they are following the acarya, Supreme Acarya, Caitanya Mahaprabhu. Therefore they are acarya. evam parampara-praptam imam rajarsayo viduh. So we have to follow the acarya. Then, when we are completely, cent per cent follower of acarya, then you can also act as acarya. This is the process. Don’t become premature acarya. First of all follow the orders of acarya, and you become mature. Then it is better to become acarya. Because we are interested in preparing acarya, but the etiquette is, at least for the period the guru is present, one should not become acarya. Even if he is complete, he should not, because the etiquette is, if somebody comes for becoming initiated, it is the duty of such person to bring that prospective candidate to his acarya, not that “Now people are coming to me, so I can become acarya”. That is avamanya. Navamanyeta karhicit. Don’t transgress this etiquette. Navamanyeta. That will be fall down. Just like during the lifetime of our Guru Maharaja, all our godbrothers now who are acting as acarya, they did not do so. That is not etiquette. Acaryam mam vijaniyat na avaman… That is insult. So if you insult your acarya, then you are finished. Yasya prasadad bhagavat-prasado yasya aprasadat na gatih kuto ‘pi finished. If you displease your acarya, then you are finished. Therefore it is said, Caitanya Mahaprabhu says to all the acaryas. Nityananda Prabhu, Advaita Prabhu and Srivasadi-gaur-bhakta-vrnda, they are all carriers of orders of Sri Caitanya Mahaprabhu. So try to follow the path of acarya process. Then life will be successful. And to become acarya is not very difficult. First of all, to become very faithful servant of your acarya, follow strictly what he says, try to please him and spread Krsna consciousness. That’s all. It is not at all difficult. Try to follow the instruction of your guru maharaja and spread Krsna consciousness. That is the order of Lord Caitanya. Amara ajnaya guru hana tara ei desa, yare dekha tare kaha krsna-upadesa: “By following My order, you become guru.” And if we strictly follow the acarya system and try our best to spread the instruction of Krsna. Yare dekha tare kaha krsna-upadesa. There are two kinds of krsna-upadesa. Upadesa means instruction. Instruction given by Krsna, that is also krsna-upadesa, and instruction received about Krsna, that is also krsna-upadesa. Krsnasya upadesa iti krsna upadesa. Samasa, sasti-tat-purusa-samasa. And Krsna visaya upadesa, that is also Krsna upadesa. Bahu-vrihi-samasa. This is the way of analyzing Sanskrit grammar. So Krsna’s upadesa is Bhagavad-gita. He’s directly giving instruction. So one who is spreading Krsna-upadesa, simply repeat what is said by Krsna. Then you become acarya. Not difficult at all. Everything is stated there. We have to simply repeat like parrot. Not exactly parrot. Parrot does not understand the meaning; he simply vibrates. But you should understand the meaning also. Otherwise how you can explain. So, so we want to spread Krsna consciousness. Simply prepare yourself how to repeat Krsna’s instructions very nicely, without any malinterpretation. Then, in future… Suppose you have got now ten thousand. We shall expand to hundred thousand. That is required. Then hundred thousand to million, and million to ten million. Prabhupada: So there will be no scarcity of acarya, and people will understand Krsna consciousness very easily. So make that organization. Don’t be falsely puffed up. Follow the acarya instruction and try to make yourself perfect, mature. Then it will be very easy to fight out maya. Yes. Acaryas, they declare war against maya’s activities, that maya instructing that “here is wine, here is cigarette, here is tha”t, in your country these advertisements are very prominent, holding both ways, wine advertisement, cigarette advertisement, naked woman advertisements, and sometimes gambling also, advertisement. What is that? Congo? Prabhupada: Bingo. (laughter) Yes. So this is maya. And our declaration of war with maya no intoxication, no meat-eating, no bingo (laughter) these are our declaration of war. So we have to fight in that way because nobody can understand Krsna without being free from all sinful activities. These are sinful activities. Therefore it is acarya’s business to stop these nonsense activities. Otherwise they’ll not be able to understand, especially the meat-eaters. They cannot understand. Nivrtta-tarsair upagiyamanad bhavausadhi chrotra-mano ‘bhiramat, ka uttamasloka-gunanuvadat puman virajyeta vina pasughnat. Unless one is very expert in killing animals, he’s not bereft from Krsna consciousness. That means one who is very expert in killing, he cannot understand. Therefore Christ also said, “Thou shall not kill”, the first business. Nobody will be able if one is a killer of animal, small or big, ultimately killer of his own children, killer of his own self. The killing process is so nice that it goes up to the point of killing one’s children. That is now happening. Killing business has so expanded that they are killing their own children. Just see the influence of Kali-yuga. The children, they take shelter of the father and mother, thinking very safe. Now, in this Kali-yuga, even there is no safety under the care of father and mother. Just see how this material civilization is progressing. Very, very dangerous. Kalau nasta-drsam. Therefore that Bhagavata verse is there, krsnesvadhamopagate dharma-jnanadibhih, kalau nasta-drsam puranarko ‘dhunoditam. Very, very abominable condition in this age of Kali, very, very. It is the beginning of Kali. Now we have to pass through 427,000’s of years. Kali-yuga will make progress in that way. And people are now practicing eating their children, and at the end of Kali there will be no food available. They’ll… They have to eat the children just like the snakes do. The snake eat their own children. There are many animals; they eat their own children. So don’t try to repeat your birth again and again in this Kali-yuga. It will be not very happy life. Better sacrifice everything in this life and be fully Krsna conscious and go back to home, back to Godhead. Don’t wait for the next life. This is very seriously repeated, that “This life I shall finish my Krsna consciousness business”, and, as it is stated in the Bhagavad-gita, that Krsna consciousness business means to understand Krsna rightly. And He’s explaining Himself rightly. Where is the difficulty to finish the Krsna consciousness business? If Krsna is explaining Himself, what He is, then where is your difficulty? Krsna is explaining Himself in the Bhagavad-gita, Krsna is sending His representative acarya to teach you and Krsna is within yourself trying to teach you if you are actually serious. Then where is the difficulty? Inside, outside, always, books, knowledge.He is prepared. So where is the difficulty to make yourself perfect in Krsna consciousness? There is no difficulty at all. Provided you are serious, you can become fully Krsna conscious in this very life. You are all young men. You are not old man like me. I have no opportunity.